Many nations' post offices operated or continue to operate postal savings systems to provide depositors who do not have access to banks a safe, convenient method to save money and to promote saving among the poor. This 1869 deposit book would be carried by the customer, and is a typical record of a British Post Office Savings Bank savings account. The first nation to offer such an arrangement was Great Britain in 1861. It was supported by Sir Rowland Hill, who successfully advocated the penny post, and William Ewart Gladstone, then Chancellor of the Exchequer, who saw it as a cheap way to finance the public debt. At the time, banks were mainly in the cities and largely catered to wealthy customers. Rural citizens and the poor had no choice but to keep their funds at home or on their persons. The original Post Office Savings Bank was limited to deposits of £30 a year with a maximum balance of £150. Interest was paid at the rate of two and one-half percent per year on whole pounds in the account. Later the limits were raised to a maximum of £500 a year in deposits and no limit on the total. Within five years of the establishment of the system there were over 600,000 accounts and £8.2 million on deposit. By 1927, there were twelve million accounts—one in four Britons—with £283 million (£15,234 million today) on deposit. The British system first offered only savings accounts. In 1880, it also became a retail outlet for government bonds, and in 1916 introduced war savings certificates renamed National Savings Certificates in 1920. In 1956, it launched a lottery bond, the Premium Bond, which became its most popular savings certificate. Post Office Savings Bank became National Savings Bank in 1969, later renamed National Savings and Investments (NS&I), an agency of HM Treasury. While continuing to offer National Savings services, the (then) General Post Office, created the National Giro in 1968 (privatized as Girobank and acquired by Alliance & Leicester in 1989) and more recently, Post Office Ltd. offers savings accounts based on its brand, operated by the Bank of Ireland, a commercial bank and Family Investments, a friendly society. Many other countries adopted such systems. Many were later abolished or privatized, though some countries offer postal savings and banking through partnerships with commercial banks. Brazil instituted a postal banking system in 2002, where the national postal service (ECT) formed a partnership with the largest private bank in the country (Bradesco) to provide financial services at post offices. The current partnership is with Bank of Brazil. In the People's Republic of China, the Postal Savings Bank of China (zh:中国邮政储蓄银行) was split from China Post in 2007 and established as a state-owned limited company. It continues to provide banking services at post offices. France's La Poste, similar to the UK's Post Office, offer banking services called "La banque Postale". Deutsche Postbank: Germany has a postal banking system: Deutsche Postbank was a subsidiary of Deutsche Post until 2008, when 30% of Deutsche Post's shares were sold to Deutsche Bank. Postal banking services are still available at all branches of Deutsche Post and Deutsche Postbank. India post, operated by Government of India, under Indian Postal services providing small savings banking and financial services, including National Savings Certificates. In Ireland, An Post provides a Post Office Savings Bank Deposit Account, and many other savings options. Israel's postal service offers utility payment, savings and checking accounts, as well as foreign currency exchange services from all post offices. Japan Post Bank: In Japan, the post office was the world's largest savings bank with 198 trillion yen (US$1.7 trillion) of deposits as of 2006, much from conservative, risk-averse citizens. The government was criticized for using these funds to engage in uneconomical infrastructure projects—what in America would be called pork barrel spending. The state-owned Japan Post Bank business unit of Japan Post was formed in 2007, as part of a ten-year privatization programme, intended to achieve fully private ownership of the postal system by 2017. Korea Post, operated by South Korean government, has its postal banking and postal insurance business. Banking counter and ATM is available in all post office, excluding postal agency and delivery center. Korea Post banking counter is connected with all national and regional banks, such as Standard Chartered Korea, Citibank Korea, Industrial Bank and Hana Bank. South African Postbank, operated by the South African Post Office (SAPO). Offers transactional, savings, investments, insurance & pension banking services. In Sri Lanka, National Savings Bank and Sri Lanka Post provide banking services through post offices. In Taiwan, the Chunghwa Post (中華郵政) provides savings accounts and Visa debit card services in the Free Area of the Republic of China. LienVietPostBank: Lien Viet Post Joint Stock Commercial Bank or LienVietPostBank (LPB), formerly known as LienVietBank, is a Vietnamese retail bank that provides banking products and services through its own transaction points across 42 cities and provinces and 1,031 postal transaction offices nationwide. LienVietPostBank is considered to be in the top 10 biggest banks in terms of assets and equity  and ranked 36th in VNR500 -Top 500 largest private companies in Vietnam in 2013. The Bank is striving to become the bank for everyone in Vietnam by focusing on banking products for households and small and medium enterprises especially in the agriculture sector, and expanding its activities to rural and remote areas via the post. In the United States, the United States Postal Savings System was established in 1911 under the Act of June 25, 1910 (36 Stat. 814). It was discontinued by the Act of March 28, 1966 (80 Stat. 92). In Canada, Canada Post had a postal bank but it was shut down in 1968. 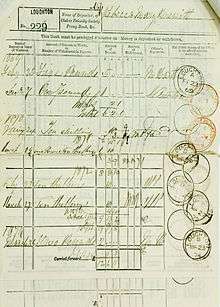 In Austria, the Österreichische Post used to own the Österreichische Postsparkasse (P.S.K.). This financial institute was bought and merged by the BAWAG in 2005. In Bulgaria, the postal banking system was a subsidiary of Bulgarian Posts until 1991, when Bulgarian Postbank was created. In the years that followed, Bulgarian Postbank was privatized and the relationship between post offices and bank offices became weaker. Postal banking services ceased to be available in post offices in 2011. In Ireland, An Post ran the Postbank between 2006 and its closure in 2010, that was a joint venture with and BNP Paribas. In Portugal, the CTT owned 49% of the Banco Postal, with Caixa Geral de Depósitos (the independently state-owned bank) owning the remaining 51%. This partnership did not go well, and eventually Caixa Geral de Depósitos bought and absorbed the bank. In Finland, Postisäästöpankki ("Post Savings Bank") was founded in 1887. In 1970 its name was shortened to Postipankki ("Post Bank"). In 1998 it was changed to a commercial bank named Leonia Bank. Later, it was merged with an insurance company to form Sampo Group, and the bank was renamed Sampo Bank. It had a few own offices, but also post offices performed its banking operations until 2000. In 2007, Sampo Bank was sold to the Danish Danske Bank. POSB of Singapore, stands for Post Office Savings Bank. Now part of DBS Bank (Development Bank of Singapore). 1 2 "Business history records: Post Office Savings Bank". British Postal Museum & Archive. ↑ "Growth Bonds". Post Office Ltd. Retrieved 2008-10-22. ↑ "Christmas Club". Post Office Ltd. Retrieved 2008-10-22. ↑ "Post Office ISA". Post Office Ltd. Retrieved 2008-10-22. ↑ "Instant Saver". Post Office Ltd. Retrieved 2008-10-22. ↑ "Post Office card account". Post Office Ltd. Retrieved 2008-10-22. ↑ Seib, Christine (13 September 2008). "Deutsche Bank makes £2.2bn U-turn to buy stake in Postbank". The Times. Retrieved 2008-09-14. ↑ "Israel Postal Company - חברת דואר ישראל". www.israelpost.co.il. Retrieved 2016-06-01. ↑ "Japan Bank Lobby's New Chief Wants Brokerage Barriers Lifted". Bloomberg.com. 2007-04-24. ↑ Griemel, Hans (2007-03-31). "Privatization of Japan's postal colossus sparks competition fears". Taipei Times. Tokyo. Associated Press. p. 9. ↑ "..:: Welcome to Kenya Post Office Savings Bank :: At Your Service Countrywide in | Nairobi | Mt Kenya | Riftvalley | Coast | Western | ::..". www.postbank.co.ke. Retrieved 2016-06-01. ↑ "Postbank to 'Wind Down' by End of Year". RTÉ News. 26 February 2010. Retrieved 2014-12-09. ↑ ๒๔๗๒ – ๒๔๘๙ คลังออมสินสู่ไปรษณีย์โทรเลข (in Thai). ธนาคารออมสิน. Retrieved 2 April 2016.